You will be given a reference e-book to read which has 342 pages And the test will be based on that e-book , you can take final test within 1 year of purchase. A+ refers to a highly efficient and powerful programming language which represents a rich set of operators and functions, automatic synchronization of variables and widgets, modern or contemporary user interface which comes with a lot of widgets, a more dynamic user compiled subroutines loading process and asynchronous implementation of a few functions linked to events and variables. The programming language was actually created and introduced by Morgan Stanley and was used primarily in a business environment known for being computationally-intensive. Over the last decades, a lot of useful applications that were written and created using the A+ programming language have become among the most widely used applications in the web development and IT industry. The widespread use of these applications can be attributed to the fact that these are portable and written in a more interpretable language. It should also be noted that the A+ programming language has implemented a few changes in the array programming language (APL). Among the many unique and notable characteristics of the A+ programming language are the availability of its nine formal parameters, code statements separated using semicolons and the implementation of a global variable known as dependent variable (dependency). If you want to gain a more complete understanding about the A+ programming language, then be aware that Brainmeasures offers an A+ certification program which is guaranteed to cover all the aspects linked to the programming language so fully understanding it will no longer become that hard to do. The A+ course offered by Brainmeasures is now widely recognized because of its ability to help aspiring A+ programming language experts to get a more comprehensive background about the field. With the help of the highly commendable A+ training which you can get from Brainmeasures, you will get the chance to improve your customer, technical and programming skills and this is a huge help in your attempt to effectively handle all your tasks as you work with other experts in the industry. It should also be noted that the A+ online certification is considered to be one of the most credible and widely recognized certifications that you can receive so you can expect different business organization to be greatly interested in your services. 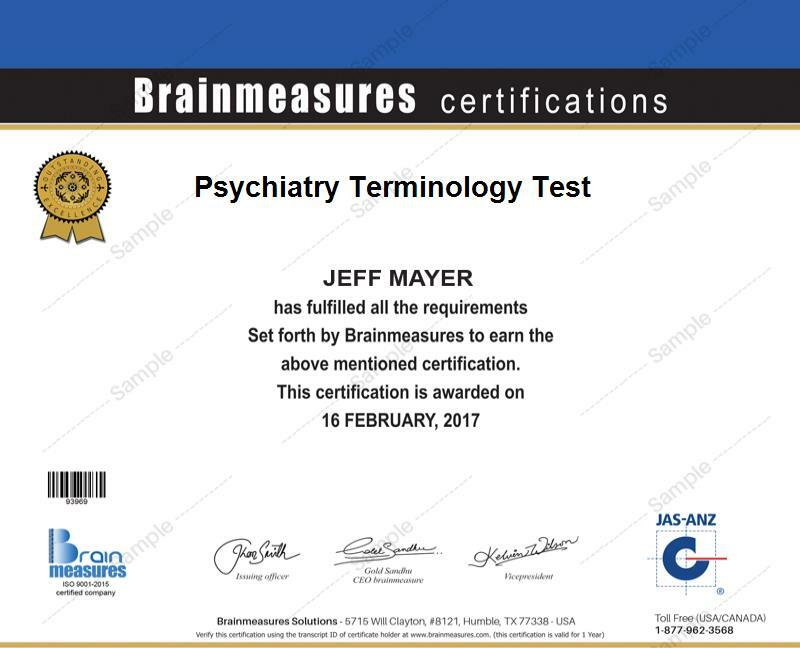 As the leading company in the online certification and skill testing industry, you also get a hundred percent assurance that you will receive the best from Brainmeasures. The certificate that you will get after taking and passing the A+ exam which is a major part of the program can make you feel like you are also holding the most advanced IT certification. It is because everything that you learn from the Brainmeasures A plus certification course can help hone your skills as an IT expert as well. The A+ certification program which is now available at Brainmeasures aims to help aspiring and present IT professionals in improving their skills and expertise in the industry. It primarily targets entry-level IT professionals, helpdesk technicians, PC service technicians and any other individuals and professionals who want to improve their skills in handling personal computers that are based on Windows and who want to further boost their career in the IT industry. Since your services will be in great demand after you complete your A+ certification course, you can also expect to start earning a higher salary. As a certified A+ professional, your potential employer can be expected to offer you an annual salary of $46,000 to $82,000. If you work based on an hourly contract, then your hourly range would range from $10 to $34 depending on your specific location and the level of your expertise and experience in the field.